It is a testament to Buster Posey’s abilities that he didn’t nail Jake Peavy in the head on this throw during Saturday’s game. 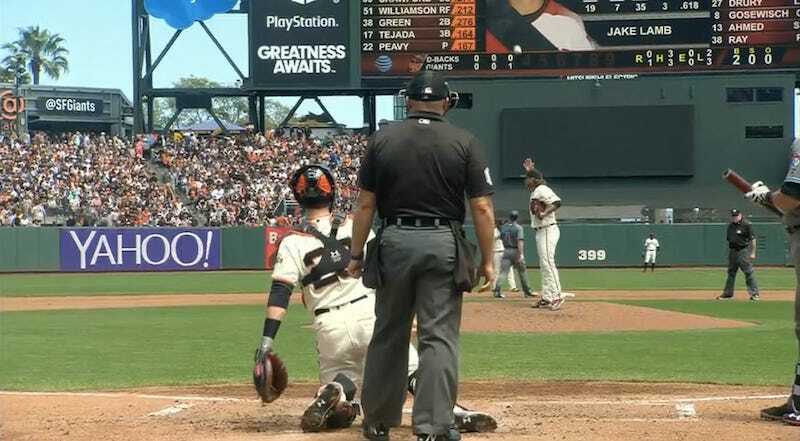 While the San Francisco Giants pitcher argued about a check swing with third base umpire Quinn Wolcott, Posey tossed the ball back to the mound. Everyone watched in horror, and then relief, as the baseball missed any vital part of Peavy and landed in his glove.